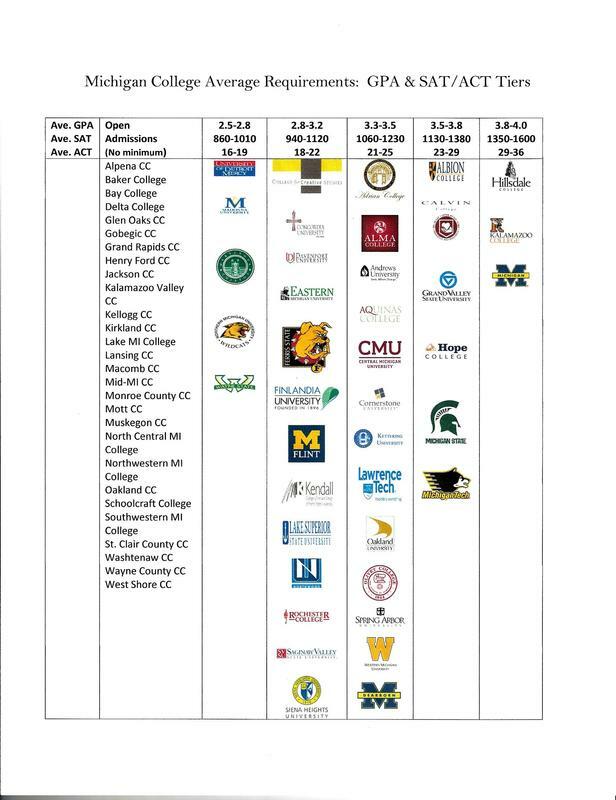 What are the chances of you getting into your favorite college? 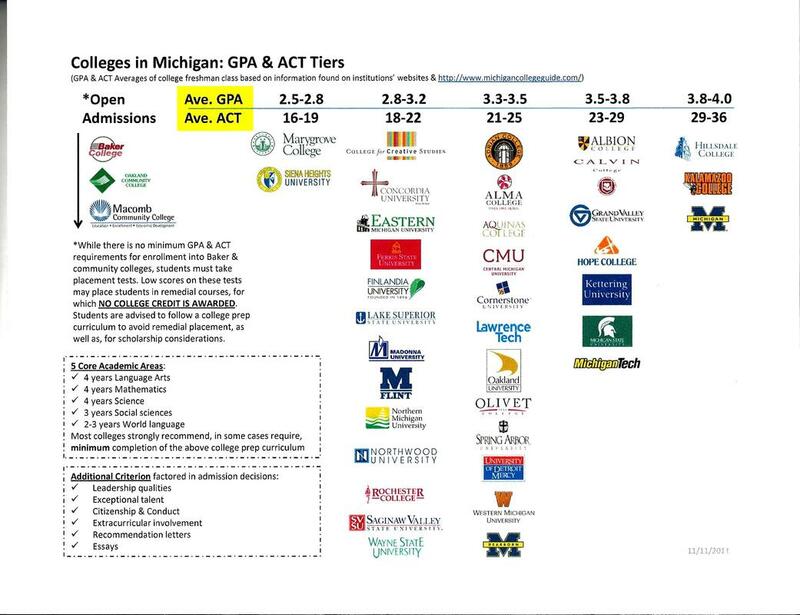 Statfuse is a college acceptance predictor for high school students. In about 2 minutes, students can receive the predicted “chance” that they would be accepted to a particular college or university. Click HERE for more information. 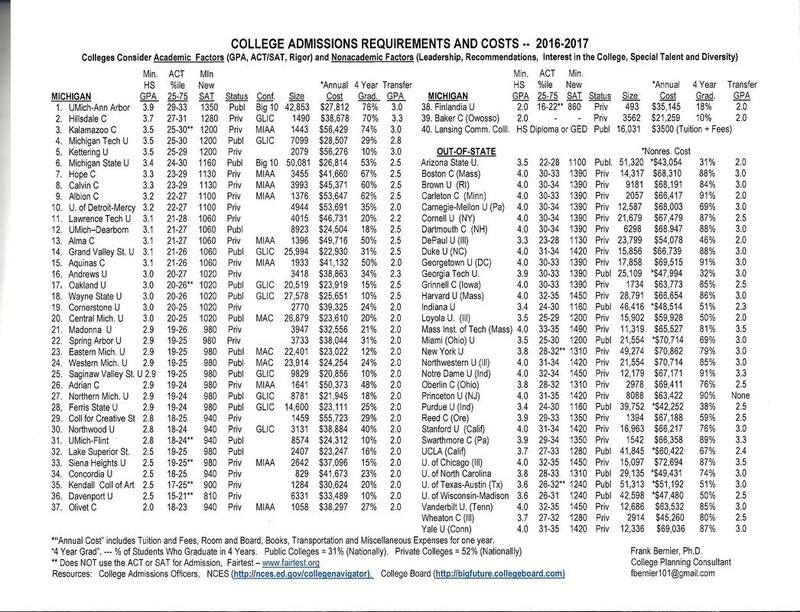 Use this Website to see how much the colleges you are considering applying to will cost you. Click here to try it out! ​This handbook contains current information on admission requirements, campus characteristics, program offerings, and application procedures for each college and university in Michigan, as well as information pertaining to the various private occupational schools that are licensed or approved by Michigan agencies. Advanced Placement program information is also provided. Visit the Michigan Postsecondary Handbook website and use the dropdown box to access specific topics within the handbook.